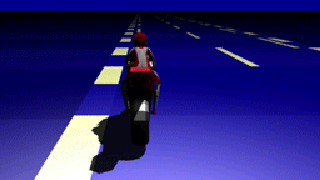 Night Riders is a 3D motorbike racing game inspired by 80's arcade classics. - Fast 3D graphics using OpenGL, awesome in HD ! - Ride through 10 beautiful tracks and 4 challenging courses. More coming soon ! - Support for on-screen multi-touch controls, digital gamepads and analog sticks. - Many configuration options are available to adapt it to your device and needs.